Dr. Malleshappa Madivalappa Kalburgi, a scholar of Vachana literature, was assassinated three years ago on August 30, 2015, at his residence in Dharwad, Karnataka. Kalburgi was a prolific writer and a researcher of Vachana literature. His scholarship was influenced by the 12thcentury philosophy of Basavanna and the Vachana literature that also became a backbone of the Lingayat Movement. The Lingayat Movement contended that the Lingayat community is not a part of Hinduism. The Vachanas, which are the backbone of the Lingayat belief system, were written to critique the oppressive social order that was, and still is, governed by Hinduism. The Vachanas and Vachanakaras (composers) were attacked by many then for being provocative by challenging the oppressive social order. Basavanna, a philosopher, social reformer, and a preacher of 12th century was also a statesman in the court of King Bijjala II (1130–1167 CE) of the Kalachuri dynasty. He critiqued and opposed the dominant Brahminical social order, caste system, and its oppressive Vedic traditions. Speaking against the Vedic rituals and Brahmanism, he took up the cause of the oppressed castes. Basavanna’s Vachanas irked the dominant communities in the region, and finally when he celebrated the marriage of Sheelavanta, son of Samagar Haralayya (a cobbler), to Kalavati, the daughter of Madhuvaras (a Brahmin), it became a strong ground for the dominant orthodoxy to attack and destroy the Vachana Movement. That is what they did. Both Haralayya and Madhuvaras belonged to the Sharana community. An inter-caste marriage between a Brahmin girl and a cobbler boy was brought to the notice of Bijjala II. Basavanna, at that point, was his minister. He was ordered to leave Basavakalyana for such a daring act. Meanwhile, Haralayya and Madhuvaras were brutally executed. All the Sharanas and the followers of the Vachanakaras, including the Vachanakaras themselves, were attacked. Amidst all the chaos, King Bijjala II was murdered and the Sharanas were, falsely, accused of the murder. The Vachanakaras had to go underground, and all of their scholarly works were destroyed. Nothing seems to have changed since the 12thcentury. Nine hundred years later, we still see that voices against oppression are silenced and the challenge to the oppressive social order is replied to with killings. We now also are aware of the conspiracies to kill all of these voices. Just like Vachanas and their composers and proponents became a prey of a conspiracy then, Kalburgi also was killed in a conspiracy to kill rationalists, activists and scholars. 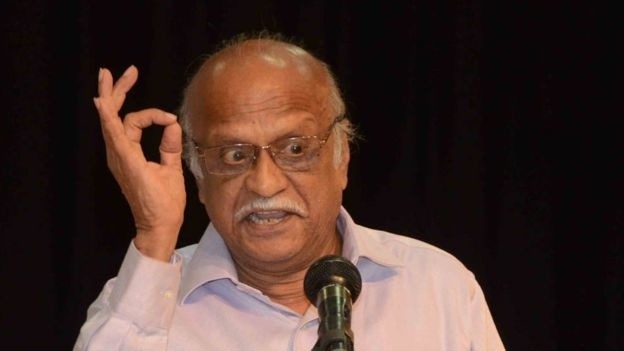 Also read:Latest: Is the Shooter Who Killed Kalburgi Arrested Already? All those, who had been named so far in the case of Kalburgi, are associates of Hindutva extremist outfits. Criminal Investigation Department (CID) has been probing the case, and even after three long years, the investigation has not yielded anything. Shankar Narayan alias Kaka, who has been named in relation to the case, is dead. The Special Investigation Team (SIT) probing the assassination of another rationalist Gauri Lankesh has not only arrested the assassin of Lankesh, but also has thrown light on a larger conspiracy to kill all the rationalists and anti-Hindutva voices. Ganesh Miskin and Amit Baddi, who were arrested by the SIT in the case of Lankesh, are said to have conducted a recce of Kalburgi’s residence in Dharwad before he was killed. Miskin is a member of Hindu extremist group Sri Rama Sena, and was arrested in July on the suspicion of being the person who rode the motorcycle pillion with Gauri Lankesh's assassin. While interrogating him, the SIT has reportedly learnt that his recruiter, Amol Kale – the former convener of Hindu Janajagruti Samiti (HJS) (who also is already arrested) – is the killer of Kalburgi. In June 2014, Kalburgi was addressing an event on superstitions, and in this event, he had referred to remarks made by Jnanapith awardee U R Ananthamurthy about idol worship in a collection of essays called Bettale Puje Yake Kudadhupublished in 1996. In an essay in the book, Ananthamurthy recounts a childhood experience in which he urinates on a particular deity of the village, in a bid to challenge his traditional upbringing that said everything was sacred. This episode was referred to by Kalburgi when he made the speech at this event. Jha was referring to this episode. Taking Kalburgi’s speech and Ananthamurthy's anecdote completely out of context, the Vishwa Hindu Parishad, Bajrang Dal and others like them had protested, labelling both the writers anti-Hindu. Today, on the third death anniversary of a scholar, who was a staunch critic of superstitions and Hindutva, it is important to reiterate the fact that the CID, SIT and CBI (looking into the case of Narendra Dabholkar and Govind Pansare) are functioning as though they are investigating independent, unrelated cases. The Hindu quoted a senior official of the CID as saying, “We are collecting evidence. The footsoldiers for the Kalburgi killing seem to have come from Bombay-Karnataka region, especially Hubballi-Dharwad.” The office has also said that they cannot rely on the statements of those accused in murder case of Lankesh alone, as they could be misleading the police. The office could be right in suspecting the statements by the arrested in the case of Lankesh. The solution to this seems to be working together and not independently.